It's zombie smashing time in Italy Games' latest addictive game which we finally have a hack for that gives players unlimited brains, and has no ads. 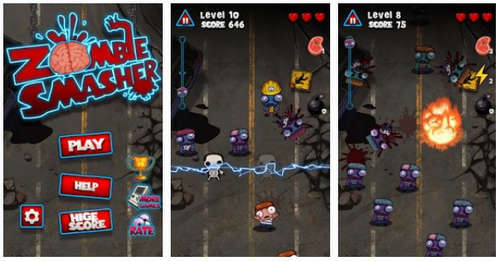 Zombie Smasher has you defend yourself against hordes of the living dead. I'm sure most of you are familiar with it. The gameplay is fairly simple as it only involves tapping your screen to smash those brainless creatures. But don't let its simplicity fool you, it's addictive as hell! There are 60 unique levels to play through with 3 gameplay modes that include Story Mode, Time Mode and Survival Mode. 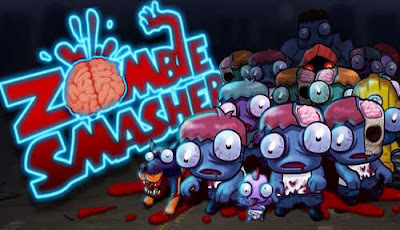 Add to that, our Zombie Smasher mod apk will give players infinite amounts of Brains so as to help them kill those undead scum and not get eaten! The game is free to play but has ads which can be annoying, so we made an ad-free version for you to enjoy. Now scroll down to grab the game and squash those 7 undead types including dog, ghost, baby, boss, and regular zombies. Avoid killing humans though. v1.6: Fixed some crash bugs of the game.